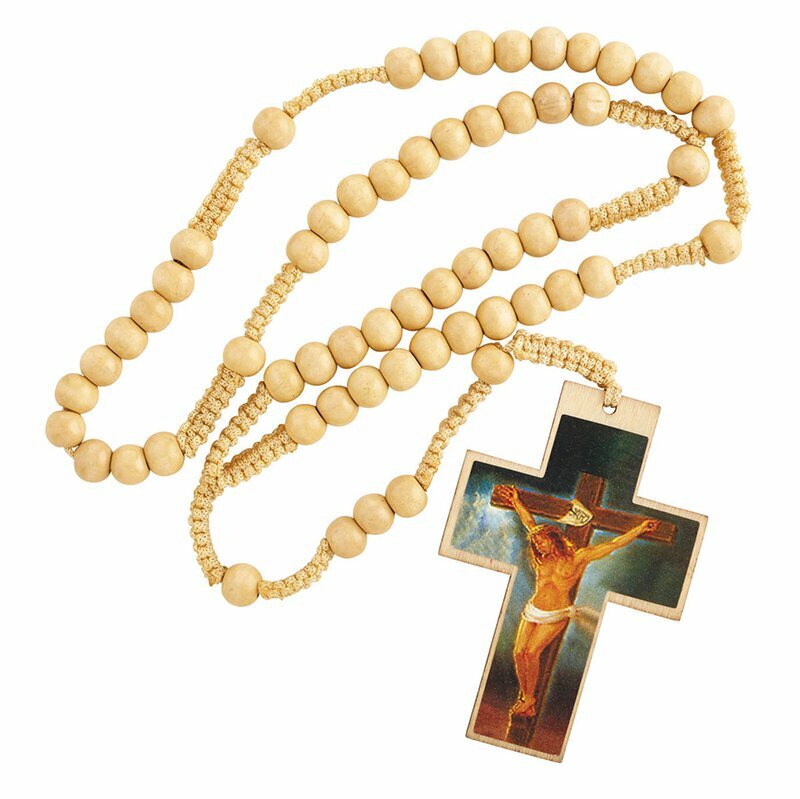 Our corded wood bead rosaries are great way to encourage Catholics to pray the rosary daily. Each is durably crafted of wood beads and extra strong nylon cord for many years of use. 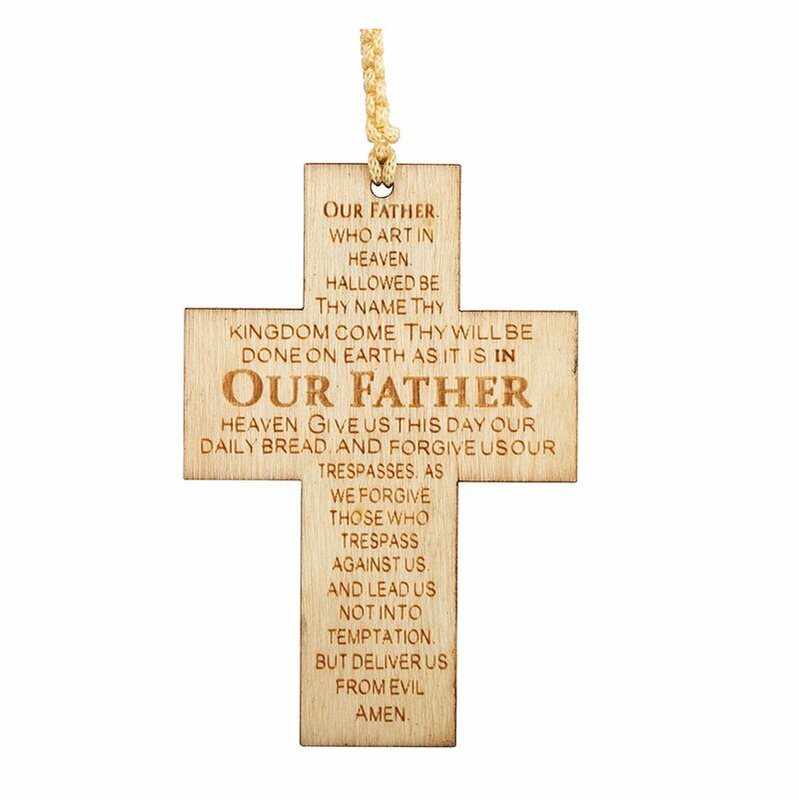 Includes a full-color image of the Crucifixion and Our Father Prayer wording on reverse. By design, they easily avoid getting tangled and slip perfectly into a pocket or purse. Their value price allows them to be excellent giveaways during religious gatherings, celebrations or feast days.